Marktirx, the marketing club of SJMSoM - IIT Bombay, organized a knowledge sharing session by seniors (SoM 14) who had “cracked” various case studies competitions. The winning teams shared various tips and suggestions on how to ace a case study competition based on their valuable experience. 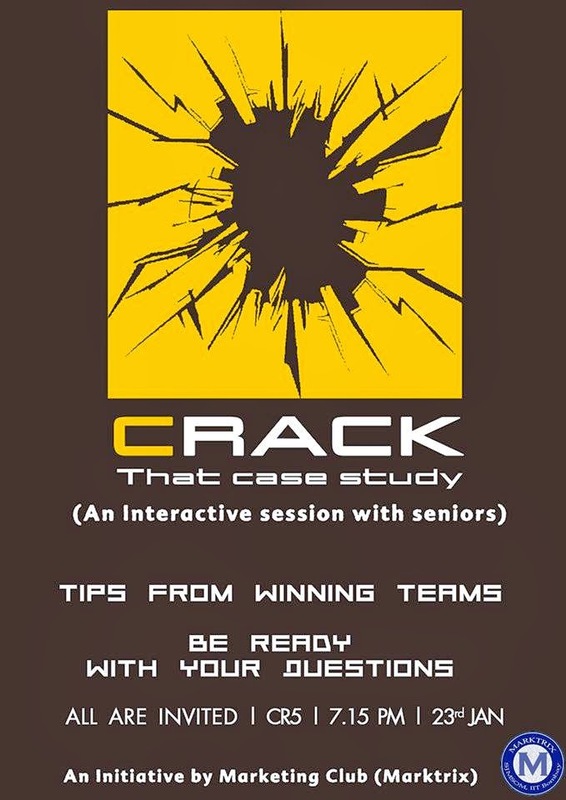 The event, “Crack the case study – tips from the winning teams”, which was scheduled on January 23rd, 2014 was one of the most awaited events of the season amongst the highly inquisitive batch of SoM -15. Every winning team agreed on the fact that primary research is one of the most important parts of the solution of a case study. In competitions like HUL-Lime, which gives high importance to primary research, one can actually show the primary research by putting up the photographs to augment the fact that one has done primary research. Deloitte’s case study competitions needs to be backed by research and Amazon cases competitions expects the participants to have a thorough understanding of the case. One should try and fit in all the aspects of business be it Marketing, Finance, Operations, Systems, HR etc in one’s solution. This rule is applicable to most of the case study events. The “how you present” is as important as “what you did”. The presentation of your solution should be attractive and informative at the same time. Use of tabulated and graphical data helps in achieving the same. When the limit on the number of slides/pages is minimal, make the use of the available space efficiently to stack multiple data. Making proficient use of MS Excel is important. Last but not the least important tip: Clear thinking, proper business plan and reaching to a logical conclusion are very essential to crack any competition. We, Marktirx - 15, on the behalf of our entire batch, would like to thank all the seniors for putting in efforts to guide us on how to go about solving a case study. 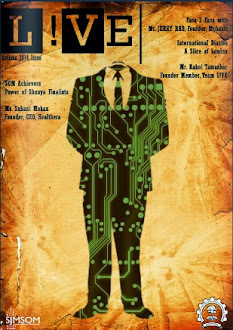 Member, MARKTRIX, the Marketing Club of SJMSoM, IIT Bombay. By reading this case study article you could write an awesome essay about those toads. Your post about case study crack. This tips very effective for winning teams.I have read this tips very carefully. You can also check it for more new information Case study. I am waiting for your next post. The following recommendations pretty helpful to get succeeding coaches and teams. Concerning learn the following recommendations with care. Additionally you can take a look at them to get extra innovative information and facts Research study. We're watching for your posting. As well extra visit listed here http://www.articlesummarizer.net/summarize-an-article-is-easy-with-us/. There are the best crack case study tips from winning teams with this place. Get the latest updates with https://www.phdproposal.net/best-phd-research-proposal-in-cloud-computing-security/ and enjoy the real option for your working area. Make your environment more clear with the organized knowledge. Exactly yes I also focus on research.All your tips are genuinely so helping and if you want to get some informative stuff about this then go to website.Thanks. They definitely win this case study file after they have done so many of hard work to crack the whole things down in to the judgement. I found some helpful info here https://www.capstoneproject.net/our-capstone-projects/mba-capstone-project regarding the academic papers writing.